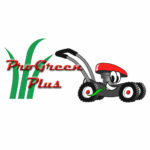 Ethanol 101: The Four Main Problems With Ethanol Fuel in Your Mower - ProGreen Plus | Knoxville, TN | Lawn Mower Parts | Riding Lawn Mower Parts | ServiceProGreen Plus | Knoxville, TN | Lawn Mower Parts | Riding Lawn Mower Parts | Service | We've Got Your GRASS Covered! We show you what happens when you run gasoline with ethanol in your lawn mower. Gums rapidly form in the fuel tank and fuel delivery systems as ethanol fuels age. However, ethanol is also a powerful solvent that will strip away and disperse this build-up back into the fuel as large, performance-robbing particles. This leads to clogged filters, injectors and carburetors. We show you the details of what happens when ethanol fuel in your mower stays in your carburetor. Ethanol attracts moisture from the atmosphere, forming an ethanol/water solution mixed in the gasoline. E-10 fuel will naturally hold .5% water in suspension, but when water levels exceed this threshold, or when the fuel cools significantly, the water/ethanol mix drops out of suspension. This is phase separation. Excessive water in the fuel tank causes engines to run rough, stall, and can lead to internal damage to engine components. Ethanol provides a significant amount of the fuel’s octane, so when the ethanol/water solution separates and drops to the bottom of the tank, the remaining fuel is left without enough octane to properly operate the engine. Additionally, the ethanol/water solution can become partially combustible, which can lead to engine damage. Over a short period of time ethanol fuel begins to break down. As ethanol and other components evaporate, the fuel loses octane and becomes “stale”. This causes hard starts, pinging, and engine knock, which robs your engine of power and can cause damage. Ethanol fuel does not produce as much energy as traditional fuel. This results in inefficient combustion, decreased performance, reduced throttle response and poor fuel economy. It would seem that the simplest solution would be to only use non-ethanol fuel (100 percent gasoline) in all of your power equipment. The challenge is that finding gas stations that carry 100 percent gasoline are getting harder and harder to find. There are chemical additive products available that specifically address ethanol problems. One of the products we recommend and use at our shop is Star Tron. Star Tron’s enzymes break down debris into sub-micron sized particles that can be easily burned during the combustion process, restoring full engine performance. This enzyme formula also reduces interfacial surface tension between fuel and water. The molecular cluster size is greatly reduced, allowing more water to be dispersed throughout the fuel. These sub-micron sized droplets are safely eliminated as the engine operates. Star Tron treated fuel helps prevent phase separation by allowing more water to be burned off than with untreated fuel, drying out the tank and preventing water buildup. This product also is a powerful fuel stabilizer which helps prevent fuel breakdown for up to two years. This results in easier starts and prevents pinging and knocking. It also improves octane levels of sub-standard, non-spec, or old fuel and in many cases can rejuvenate stale fuel, restoring it to a serviceable condition. The enzyme formula helps to break apart large clusters of fuel molecules, creating more surface area. This allows additional oxygen to react during combustion, which results in a more complete burn of the fuel, improved fuel economy, engine power, throttle response and reduced toxic emissions. This also reduces carbon deposits, keeping your engine clean and operating at peak performance. To view our selection of enzyme-based products that resolve ethanol problems, CLICK HERE to go to our online store! Here is a website link that reports on all of the gasoline stations in your area that sell 100% gasoline.